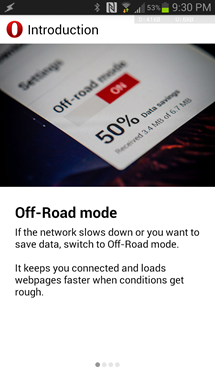 Opera has just released it's latest addition to the Opera browsers for mobile devices. 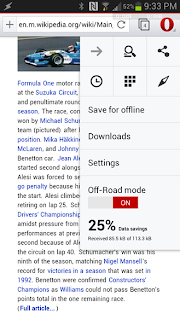 The new Opera browser has been redesigned and sports a cleaner look and also utilises a WebKit rendering engine instead of the presto engine found in previous versions of Opera browsers. The use of the WebKit engine brings it up to par with the Google Chrome and Safari browsers and makes it compatible with certain subsets of the HTML codes, which would reduce compatibility issues and also give it a speed boost. 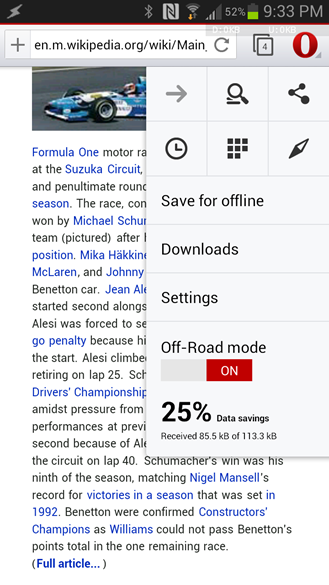 The new design focuses more in gestures than buttons, but still retains the familiar speed dial, in addition to the most visited bookmarks. The Opera browser also retains the Opera link and a rechristened Opera Turbo now called Off-road mode, which helps to reduce bandwidth usage. 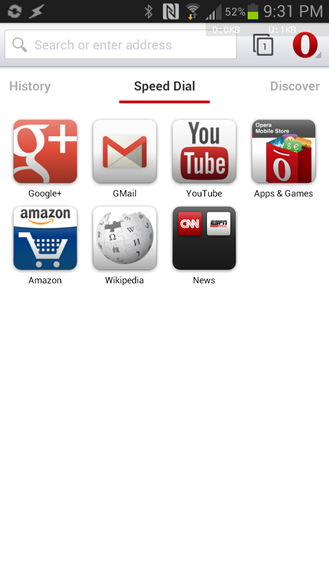 The Opera browser also brings in a redesign of the home tab, the new Discover tab acts as a dynamic news reader which sports a flipboardesque layout. 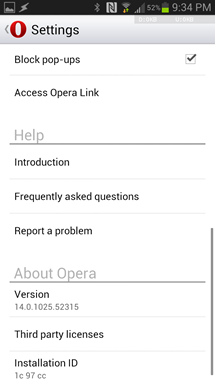 The Opera browser is still in it's beta stage and might have some bugs that needs to be ironed out before a stable version is outed.